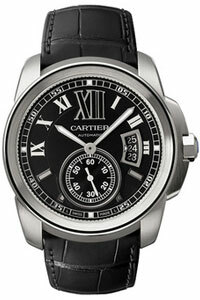 Sell Cartier CALIBRE DE CARTIER with confidence. 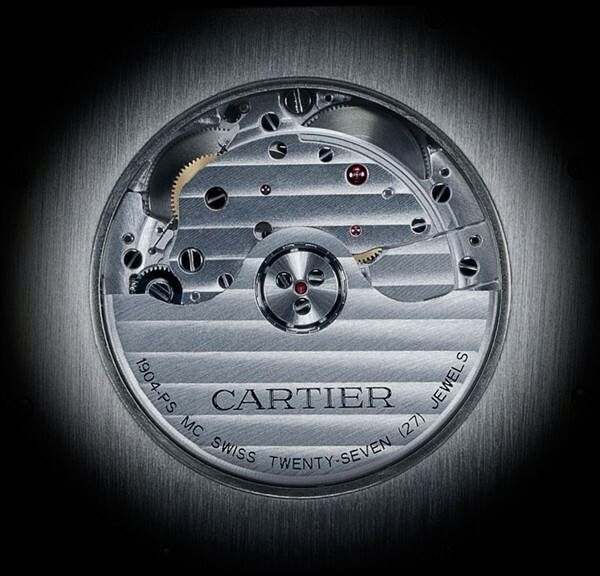 Our expert valuers offer free appraisals and instant maximum cash prices for your Cartier CALIBRE DE CARTIER. 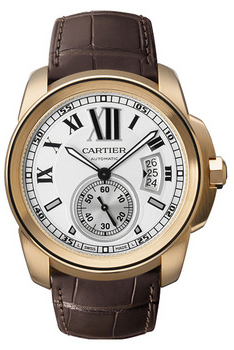 Simply call us or fill out our online form to sell your Cartier CALIBRE DE CARTIER today. Call 020 8905 5570 for an instant quote or fill in our form now. When you are planning on selling your Cartier watch, contact us at W1 Watches for an expert valuation and a quick, easy service. We buy all the Calibre De Catier models ranging from the W7100041 or the gold Calibre De Cartier W7100009 in any condition or age. 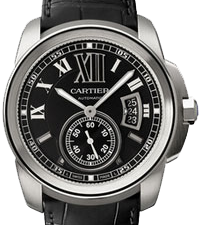 Cartier De Calibre W7100041 A gents stainless steel Calibre De Cartier with a 42mm case, black alligator strap, sapphire-crystal case back, automatic movement black dial. Cartier De Calibre W7100009 A gents 18ct rose gold Calibre De Cartier with a 42mm case, brown alligator strap, sapphire-crystal case back, automatic movement white dial. Cartier De Calibre W7100018 A gents rose gold Calibre De Cartier with a 42mm case, rose gold bracelet, sapphire-crystal case back, automatic movement white dial. Cartier De Calibre W7100036 A gents steel and rose gold Calibre De Cartier with a 42mm case, steel and rose gold bracelet, sapphire-crystal case back, automatic movement white dial. 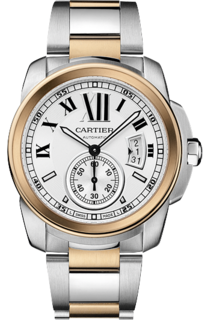 The Calibre De Cartier watch comes in either stainless steel, 18 yellow or rose gold or a combination of stainless steel and gold.